The Grand Tour of Four Countries [2019 / 2020] Book Today! 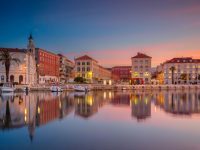 Starting and finishing in Zagreb, this 10-night coach tour takes you to the most beautiful destinations in Croatia, Slovenia, Bosnia and Herzegovina & Serbia. Hotel stays with half board, city tours and coach transfers included. 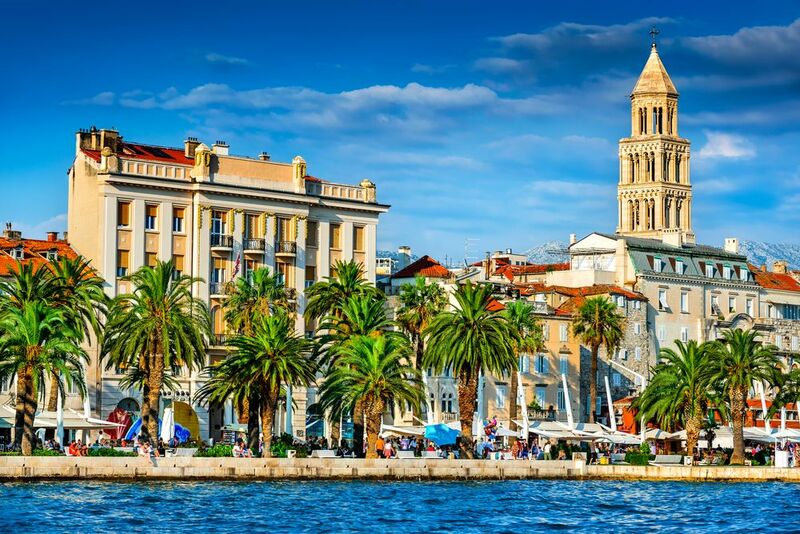 Join us on this grand tour of four countries: Croatia, Slovenia, Bosnia & Herzegovina and Serbia. 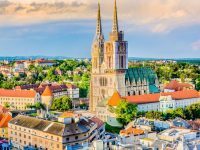 This escorted coach tour starts and finishes in Zagreb. Over 10 nights, you’ll visit four capital cities, four UNESCO-protected sights, wine cellars, ethno villages, beautiful lakes and more! 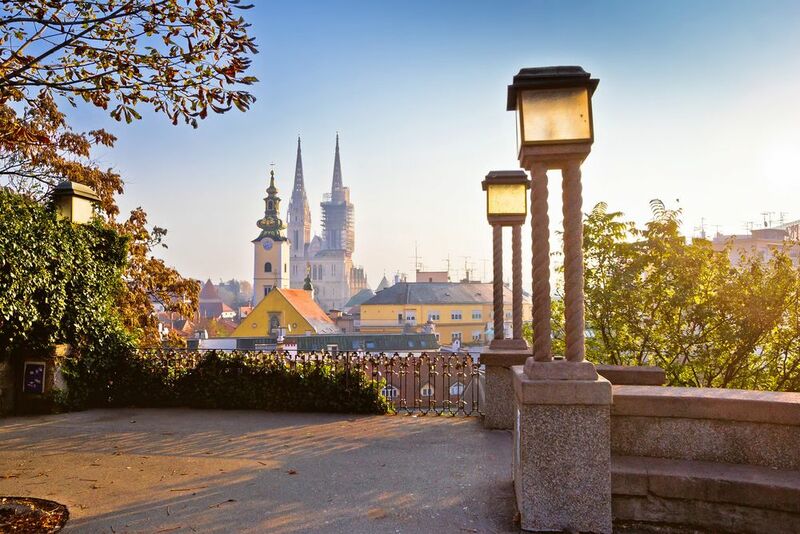 From Zagreb, you’ll continue towards Bled Lake in Slovenia and the country’s charming capital of Ljubljana. Enjoy a city tour of this picturesque city with its Three Bridges and interesting legends. 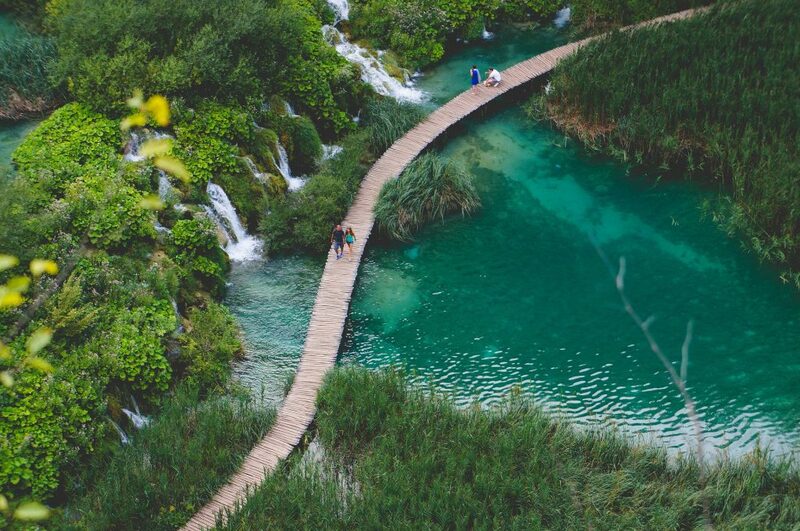 From Ljubljana, you’ll continue towards Plitvice Lakes in Croatia, where you’ll have the opportunity to explore one of the most visited natural sites in the region. 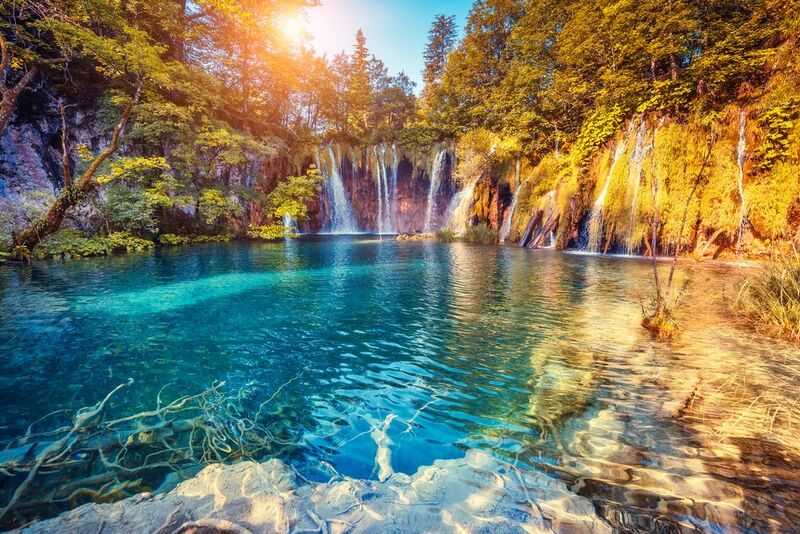 Featuring sixteen emerald lakes and countless waterfalls, Plitvice Lakes will leave you breathless. 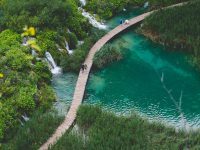 From Plitvice, this tour will take you to Split via Zadar. 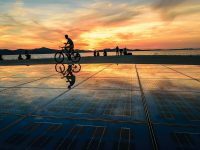 Learn about the fascinating history of the UNESCO-protected Diocletian’s Palace and listen to the sea organ in Zadar. 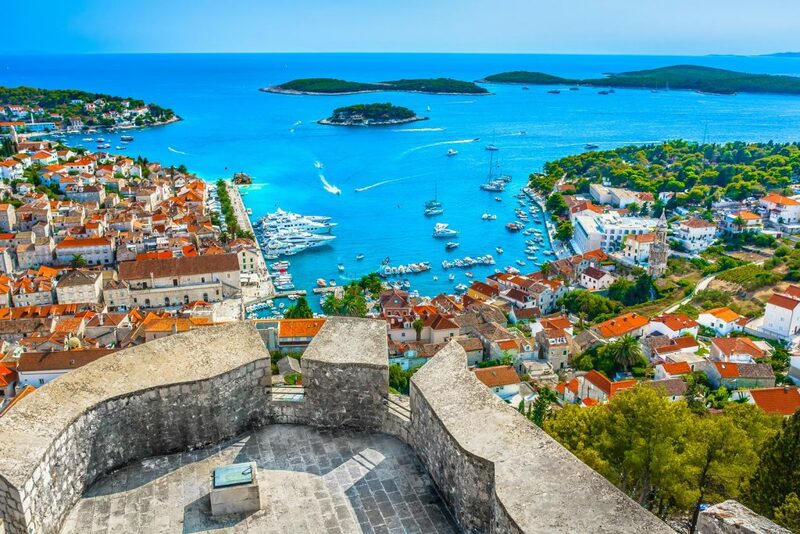 After Split, we’ll continue towards Dubrovnik, the “pearl of the Adriatic”; walk its Medieval walls and enjoy the sun in Croatia’s most popular tourist destination! 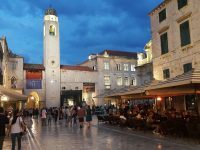 Say goodbye to Dubrovnik and head towards Mostar and Sarajevo in Bosnia and Herzegovina; learn about this country’s complicated history, taste the local dishes and visit the UNESCO-protected Old Bridge area in Mostar. Our next stop on this grand journey is Serbia’s famed capital of Belgrade, with its historic streets and important archaeological sites. Another beautiful town in Serbia is Novi Sad, situated by the Danube river. 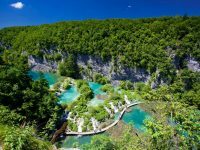 Cross back to Croatia from Serbia and explore the east of the country. Start in Ilok, well-known for its extraordinary wine and Ilok Castle. Visit Ilok wine cellars, famous for traminac wine, which was served at the coronation of Queen Elizabeth II. Continue towards Osijek, the largest city in the eastern Croatia and Đakovo. At the end of the tour, we’ll take you back to Zagreb via Stara Kapela Ethno Village, where you’ll enjoy a traditional lunch. We’ll will pick you up from Zagreb Airport or another hotel in Zagreb and drive you to your tour hotel. Free time in Zagreb for the rest of the day. Dinner and overnight in Zagreb/ Zagreb area. 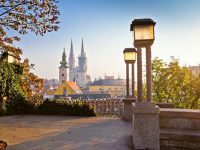 Enjoy the sightseeing tour of Zagreb in the morning. 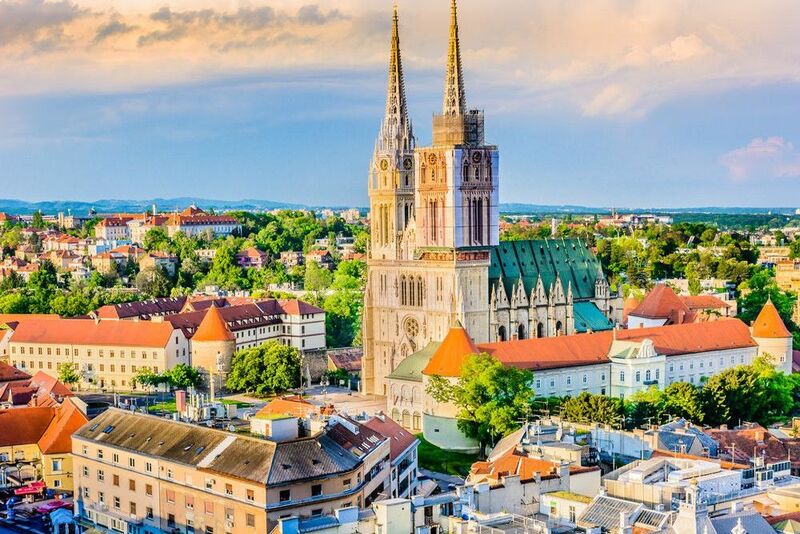 Zagreb is the capital city of Croatia, offering many historical sights, museums and galleries. 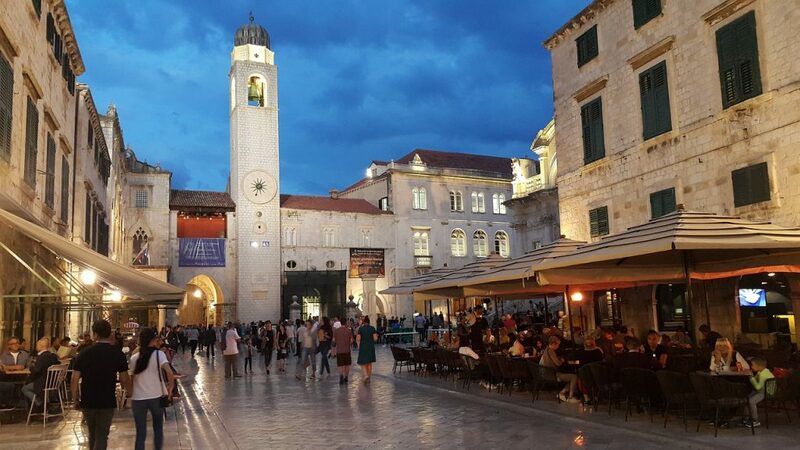 On your way you’ll see the fortified Upper Town, the city’s historical centre, the remarkable St Mark’s church, the Cathedral, the Croatian National Theatre and the University building. Early afternoon departure to Bled, a small town in the Julian Alps in the neighbouring country of Slovenia. This is a popular weekend destination for local and foreign visitors alike. 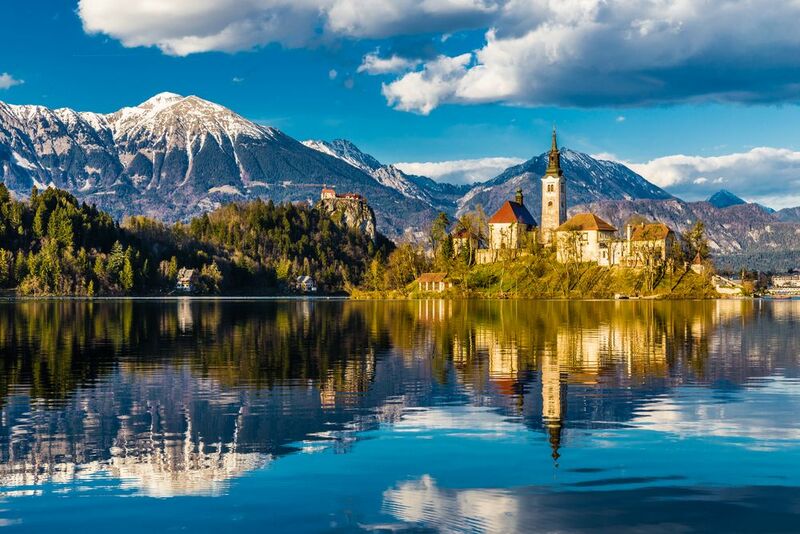 Enjoy the natural beauties, stroll around the beautiful Bled Lake and visit a small island in the middle of the lake. 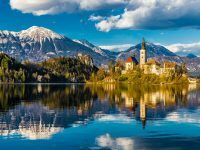 Bled, together with its surroundings, ranks among the most beautiful alpine resorts and is renowned for its mild climate and thermal lake water. Dinner and overnight in Bled/ Bled area. Breakfast at the hotel & check out. Today we’ll head to Ljubljana, the Slovenian capital city. . 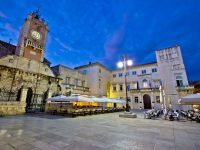 Enjoy a guided tour of this charming city with Three Bridges, the open-air market, the Baroque Town Hall building and Robba’s Fountain. 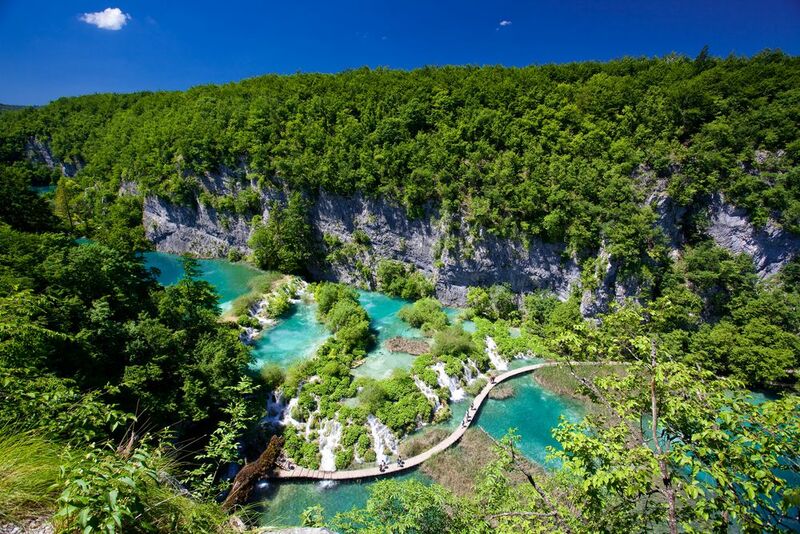 After Ljubljana we’ll continue to Plitvice lakes, one of the most visited UNESCO-protected sites in Croatia. This beautiful park boasts sixteen green and blue lakes often called the “sixteen silver stairs” and countless waterfalls. Walk the wooden promenades with magnificent views of the surroundings. Dinner and overnight in Plitvice area. 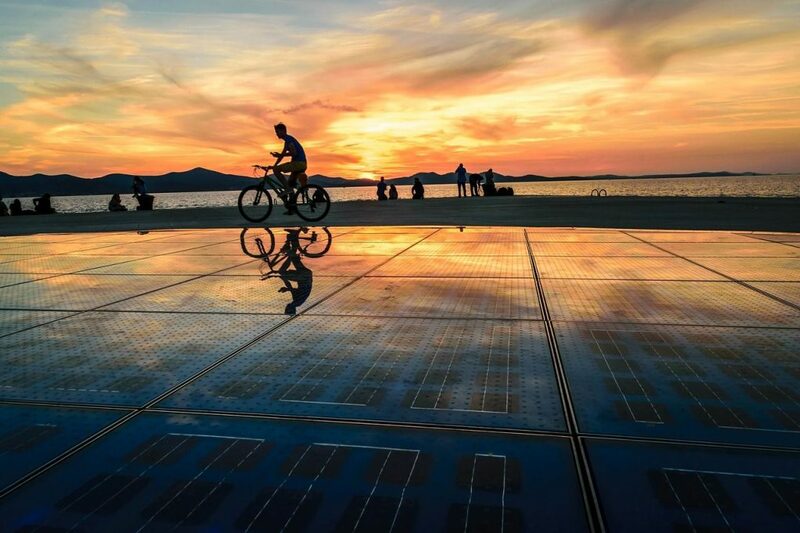 Morning departure to Zadar and a guided walking tour of this charming coastal city. Visit the Roman Forum from the 2nd century BC, the 9th century pre-Romanesque church of St. Donatus and the St. Anastasia church. 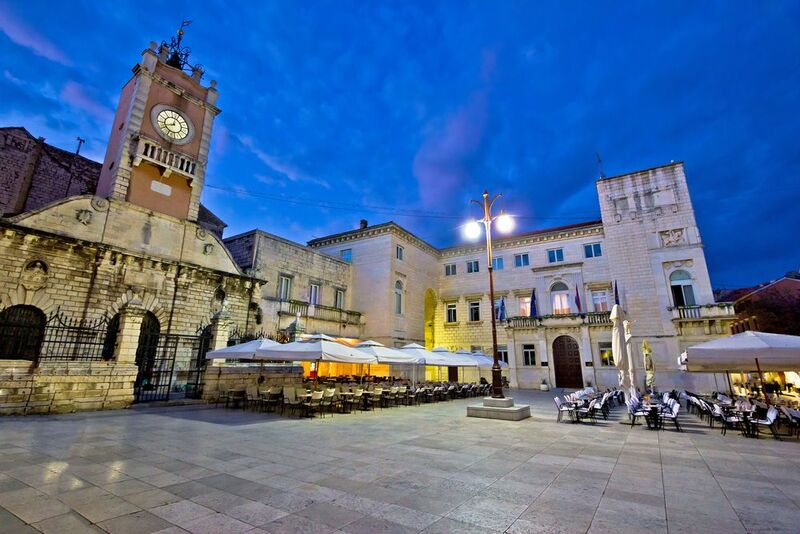 After Zadar, we’ll head to Split, famous for the UNESCO-protected Diocletian’s Palace in its very centre. Enjoy a walking guided tour of this magnificent Ancient palace, today the city’s living heart. 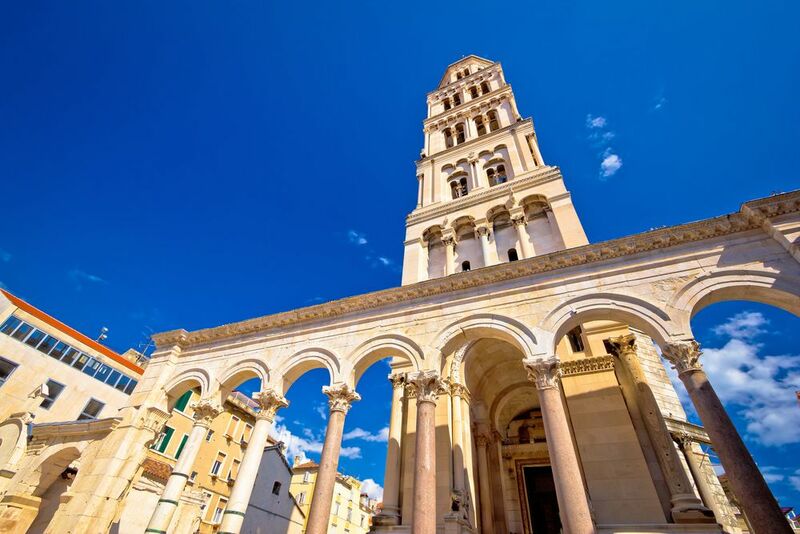 Emperor Diocletian built the palace for his retirement and he spared no expense to make his new home. It was finished in the beginning of 4th century AD. Dinner and overnight in Split/ Split area. 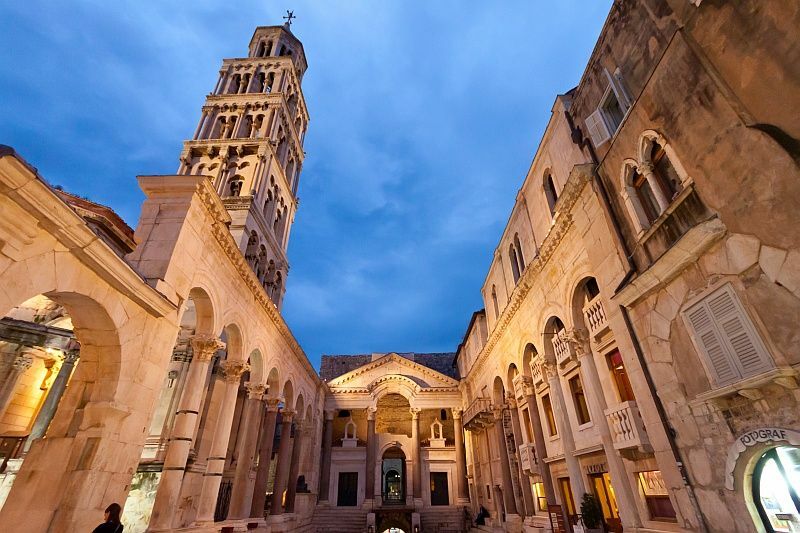 Today we continue towards Dubrovnik, the absolute star of Croatian tourism and the famed “pearl of the Adriatic”! 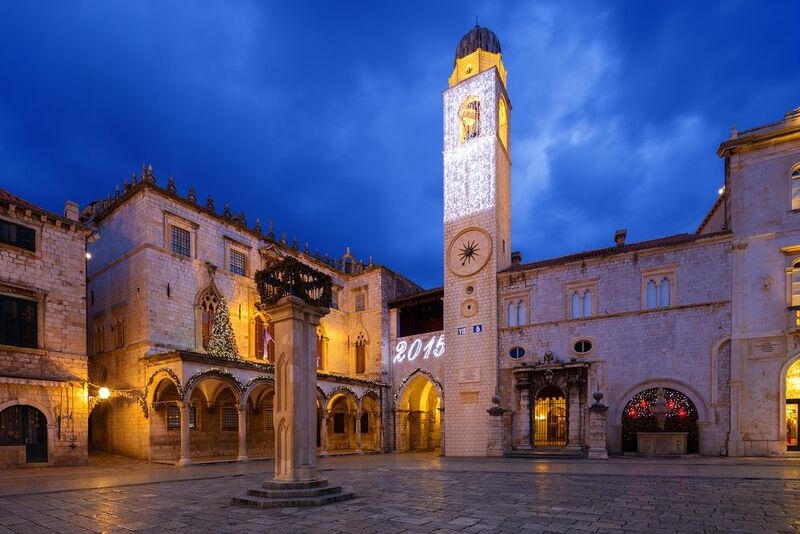 Enjoy the guided walking tour of this UNESCO-protected Medieval city, learn about its fascinating history and stroll the popular Stradun promenade. 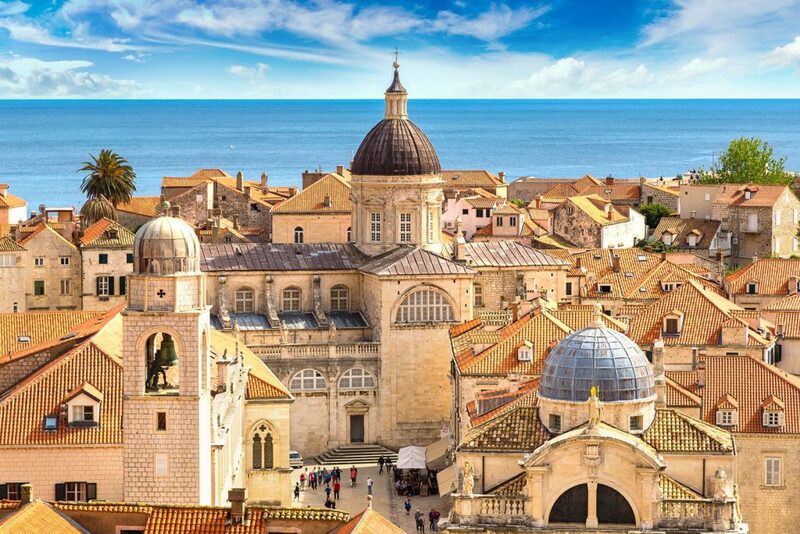 Dubrovnik was once an autonomous republic, trading successfully under the flag of liberty. 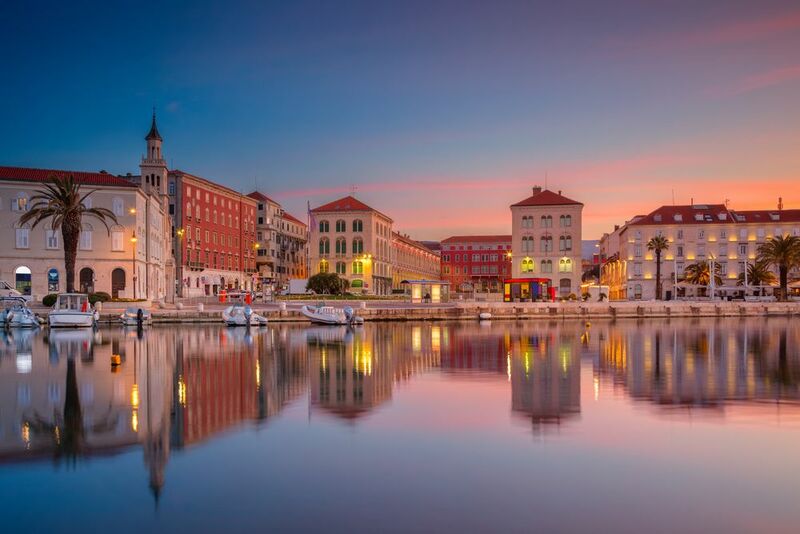 It was a home to many Croatian artists, poets and scientists during its Golden Age. 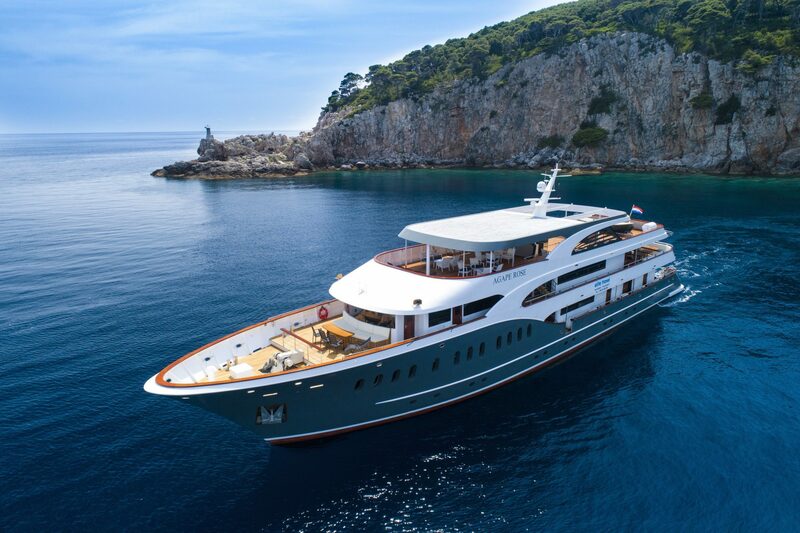 Optional excursion to the island of Korčula is available. 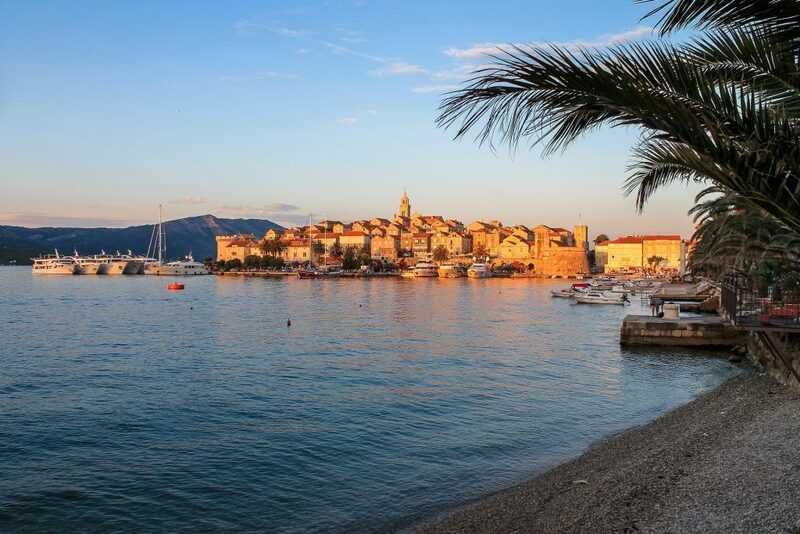 Korčula is the alleged birthplace of Marco Polo, the Medieval traveller and merchant. 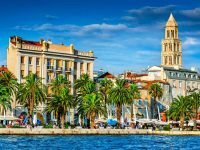 Stroll the narrow streets of Korčula Old Town, see the beautiful churches and magnificent palaces in one of the best preserved Medieval towns in the Mediterranean. After sightseeing enjoy your free time for lunch or swimming. Return to Dubrovnik & short stop on the way at one of the wine cellars on Pelješac peninsula to sample some local wine. Dinner & overnight in Dubrovnik/ Dubrovnik area/. Morning departure to Mostar, the city of bridges in neighbouring Bosnia and Herzegovina. Experience the wonderful mixure of Eastern and Western cultures in this historic UNESCO-protected city. 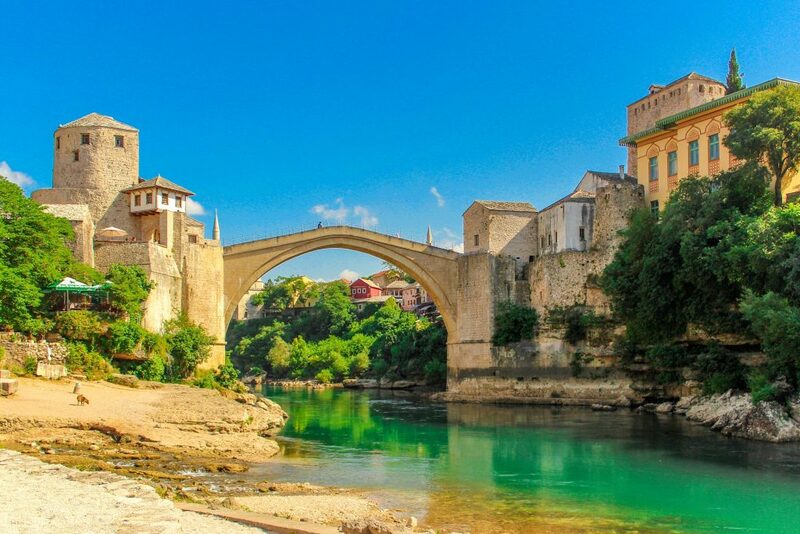 Orientational walk with your tour leader in Mostar and free time for lunch. After Mostar, we’ll continue towards Sarajevo, the capital of Bosnia and Herzegovina. Sarajevo is one of historically most interesting cities in Europe. This is where the people of the Orthodox East, the Ottoman South and the Roman Catholic West met; an example of the clash of civilizations and a beacon of hope for peace and tolerance. 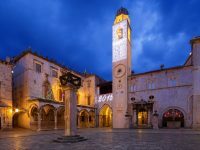 Enjoy the guided city tour of Sarajevo upon arrival. Morning departure to Belgrade, the capital city of Serbia. Short break will be made in Zvornik, a charming little town in the north-east of Bosnia, situated by the Drina river. Belgrade is situated at the place where Sava river joins the Danube. A guided walking tour of Belgrade upon arrival will introduce you to this historic city. Visit its centuries-old streets, squares, monuments, parks, fountains and important archaeological sites. In the morning we’ll continue towards the city of Novi Sad, the second largest city in Serbia, situated by the Danube river. Novi Sad boasts many interesting attractions, from the imposing fortress on the opposite bank to the churches representing numerous denominations throughout the old town’s pedestrian zone. Our local guide will show us all the most important locations. After the guided tour of Novi Sad, we will continue towards Ilok in the very east of Croatia. You will have the opportunity to taste wines from the famous Ilok wine cellars. Wine tasting will be followed by a traditional lunch. On our way to the city of Osijek we will stop in Vukovar, the biggest Croatian river port located at the confluence of Vuka River into Danube. Vukovar is a symbol of the Croatian war for independence, as it arose from the ashes of the ’90s into the proud city that it is today. Overnight in Osijek or Vukovar. Enjoy the morning walking tour of Osijek, situated in the eastern Croatian region of Slavonija. With its endless sunflower fields, excellent wine and mouthwatering cuisine, Slavonija is a mecca for foodies. Osijek is the largest city in the eastern Croatia, situated by the Drava river. 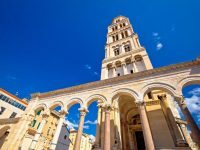 It is one of Croatia’s most beautiful Baroque cities, boasting the impressive fort (Tvrđa) with cobbled streets and Baroque buildings. After Osijek, we will continue towards Đakovo, recognisable from the distance for its remarkable cathedral. After a short visit to Đakovo, we’ll depart towards Zagreb and stop at Ethno Village of Stara Kapela for a traditional lunch (no drinks included). Overnight in Zagreb/ Zagreb area. Departure transfer from the tour hotel to Zagreb airport or to another hotel in Zagreb for the remainder of your stay. – This might be a bilingual tour.